Why have you developed Extreme Wellness retreats and how do they work? They’re designed to help people counter the forces of entropy, clear their channels of elimination and explore the edge of their comfort zone – while also experiencing profound relaxation and extreme comfort. Attendees explore the limits of hot and cold, breathing and breath retention, and exertion and relaxation in a small group setting – we limit attendance to 12. 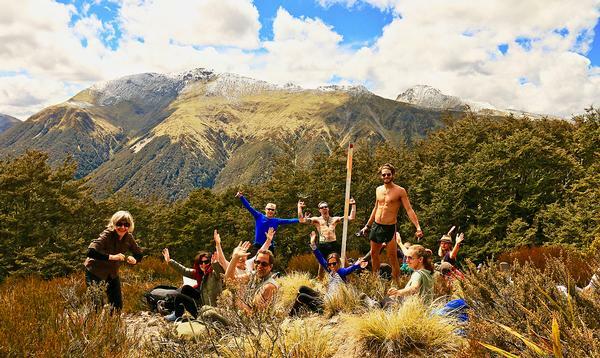 One of our first retreats was held at Maruia Hot Springs in New Zealand in November. The resort boasts geothermal pools, cold plunge pools, saunas and a bathhouse for water yoga, and participants spent the first day both experiencing and learning about hot and cold therapy – what happens physically and psychologically, and how to use breathing techniques to master the cold. 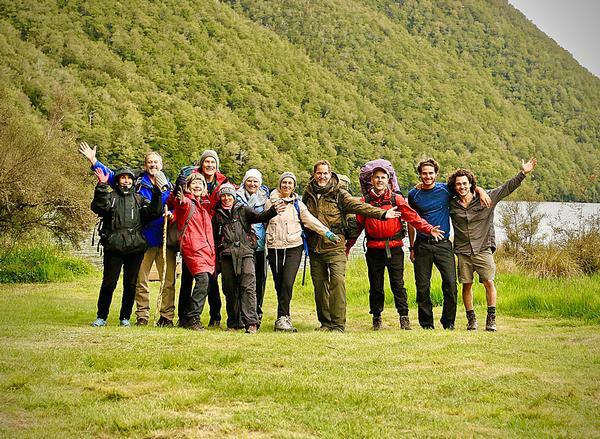 In the following days, they were taken for day-long outings in the natural surroundings – hikes through the nearby beech forest or to the top of a mountain – while a support crew went ahead to set up a portable steamroom, heated hammocks, hot lunch and fluffy bathrobes next to a pristine lake or waterfall. 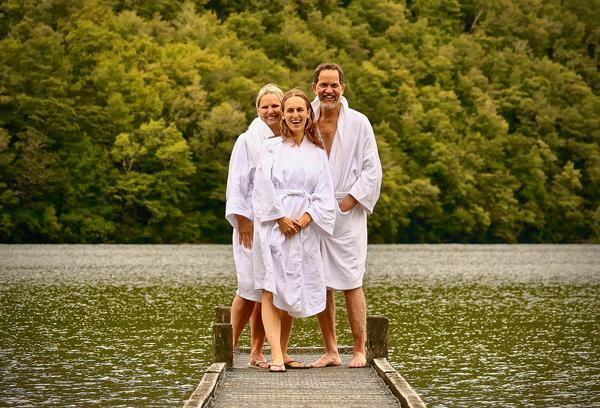 Participants then replicated the hot and cold experiences they learned at Maruia, going from cold water bathing to warming in the steamroom. Part of the philosophy of Extreme Wellness is that until you know what your extremes are, you can’t find the balance point. It’s like yoga, where you push a stretch to your limits, stretch a bit further and then relax to achieve a point of bliss. Exploring those limits can help people cope with other stresses that are out of their control, or to revisit anxiety in a very controlled way. While the activities are remote – part of the appeal is to experience bathing in pristine wilderness – we’ve been able to introduce a five-star luxury spa experience. We’re bringing extreme comfort into an otherwise uncomfortable situation – the top of a mountain or a frozen lake – which gives it even more of a wow factor. We provide this wow factor by offering creature comforts – beautifully cooked meals, fluffy bathrobes, steamrooms and heated hammocks in remote locations, using nature as your venue. The memories you create, and the depth of experience is greater than anything you can do in any fancy built environment. What’s your own experience with extreme bathing? I’d already had multiple knee injuries and surgeries before my mid-20s, after a bus hit my motorbike and my leg snapped in half. I remember lying on the roadside with my left toes touching my knee and then being told I could lose my foot, and would find it hard to walk properly again. After nine months of plaster and rehab, I refused orthotics and simply adapted to a slightly shorter left leg. 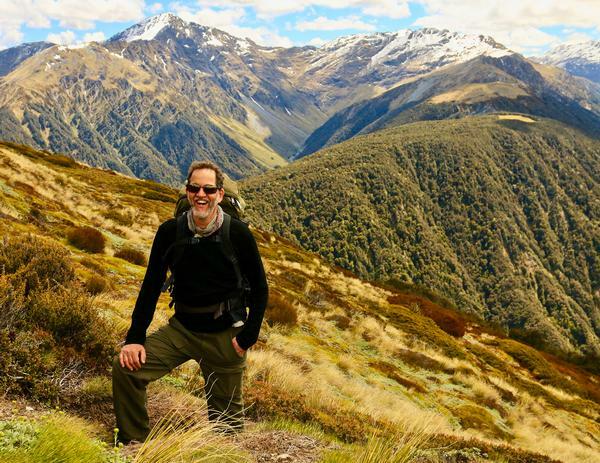 As a doctor and expert in natural remedies I tried every natural treatment, including herbal and nutritional remedies, osteopathy, chiropractic, acupuncture and yoga – they all helped marginally, and I continued to live an active outdoor life. Yet as the years went by, I found myself in more and more pain, and when I hit my 50s it began profoundly affecting my life. I started to limp and reduced my exercise and put on weight, and once my sleep was affected I really struggled to keep up with the demands of a busy life. In 2017 I met up with Wim Hof and began his method of breathing and ice bath practices (see SB17/4 p22). My musculoskeletal pain diminished and my physical resilience and mental focus surged. I noticed some big changes. I no longer limped, I slept soundly (without physical pain), my appetite changed and I became happy to eat one or two small meals a day. I no longer felt the effects of decades old injuries. As I worked with him on the science behind the Wim Hof Method, I found my 30 years of study culminated in a deep understanding of how consciously manipulating the basic elements of life – oxygen, carbon dioxide, water, temperature and glucose – could hack into our evolutionary potential and transform our physiology. Extreme Wellness was born – and I knew I had to share this with as many people as possible. I went into medicine interested in fulfilment, fun, and wellness. I soon discovered that in western medicine, I’d be learning about illness and I took four years off to study physiology, psychology, and do a PhD in Chinese medicine before finishing my medical degree. I did a further PhD in computer systems engineering and worked as a locum general practitioner and in emergency departments. I saw that while western medicine was good for acute conditions, it missed the mark with chronic disease. Then in the mid-1990s, I became the director of the Centre for Complementary Medicine in Australia’s Monash University Medical Faculty, where I taught a wide range of wellness-focused courses. In the early 2000s I was offered a job as a professor at RMIT University, where I was to be the ‘conventional doctor’ in a complementary medicine faculty. Over the past 16 years as a professor of health sciences I’ve co-written seminal textbooks on herbs and natural supplements and the global spa industry, researched acupuncture, organic food, herbal medicine, yoga, meditation, the Buteyko breathing technique, pranayama and dysfunctional breathing, along with saunas, hot springs, elite athletic performance, detoxification and the Wim Hof Method. How do you see Extreme Wellness growing? 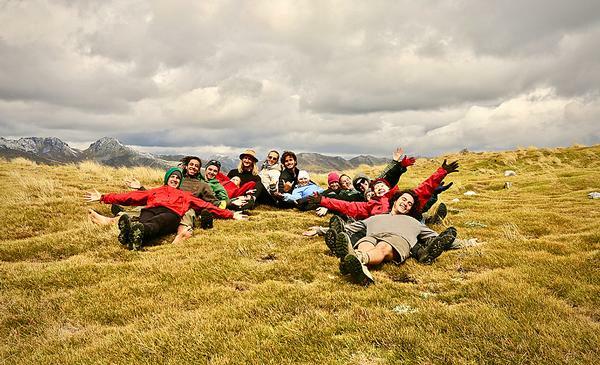 Some of the activities we offered in the retreat we’ll now offer for day experiences at Maruia, but we’ve already also planned the next retreat for April. 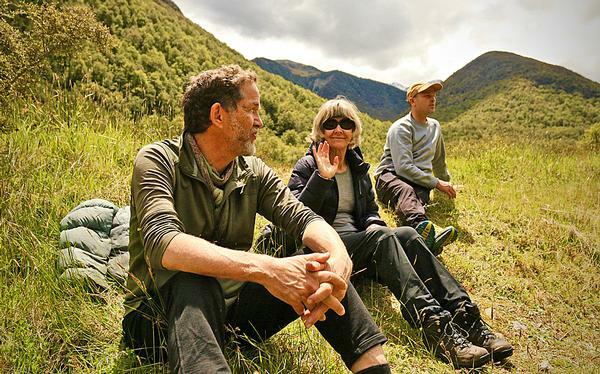 I think we’ll run up to eight retreats at Maruia each year, and I’ll travel to other places to host retreats if I’m invited. Eventually I want to have a bank of people who can lead adventure bathing and/or Extreme Wellness retreats around the world, and I plan to offer training and a certification programme. Places like Nepal, the Andes or the Swiss Alps – anywhere where there are mountains, hot springs or cold lakes – would be ideal to expand the concept. You have these otherwise cold, inhospitable environments around the world, and suddenly this opens them up as wellness experiences. And now you’ve also written a children’s book? Yes – the book is called The Beautiful Mare and the Boy Who Gave Thanks, and it’s based on a 2,500-year-old Chinese parable about an old man who lost his horse. It’s a really positive, powerful story, and it’s been used in a lot of different environments to talk about how you interpret the world. I’ve just added another dimension to it – the boy makes the best of each situation, because he’s open to new experiences. It’s being translated into 14 languages, and I’ve got two more children’s books on the way. I’ve written more than 100 peer-reviewed articles and about a dozen textbooks, but none of those works have given me as much joy as these children’s books. Your mother, who died last year, had a profound influence on your life. What did you learn from her? In some ways, I’m the boy in the story. My mother gave me the idea that you can make the most out of any situation. 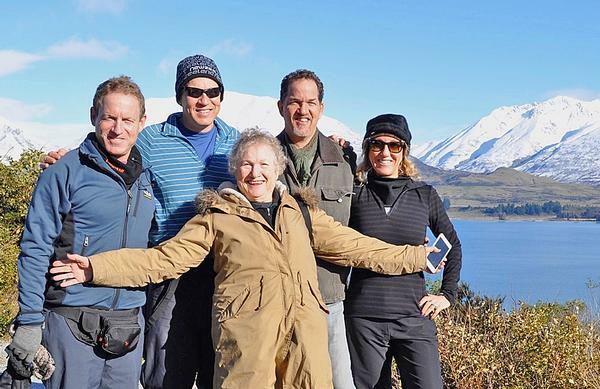 She always saw life as an adventure, but she also had an incredibly blessed life – she left Czechoslovakia when she was five, just before the Second World War started. Her father’s company sent him to Australia and they arrived the day Hitler marched on Prague. She took joy from everything – up until her last days. When she got her diagnosis of metastatic melanoma, she didn’t want any treatment, she just wanted to live as well as she could. She reached 84 years old and lived and died on her own terms, and she lived and died really well. She was just the most optimistic, most loving, most amazing woman I’ve ever met. What is Bathe the World Foundation? It’s a public benevolent foundation I helped form. Its aim is to provide access to a bucket of water for everybody, every day, which means a couple of litres to cook with, some to drink and some to wash. Having clean drinking water is important, but what we’re looking at is beyond survival. There are 2.4 billion people – and that’s about one in three people on earth – who don’t have access to washing water. We’re planning to work with a company called F Cubed, which has developed a solar desalination, purification technology that can produce pure, clean drinking water from any water source, using solar energy. We will be working with them to fund projects where we can disperse these solar panels. World Bathing Day is held every year on 22 June for awareness-raising and fundraising, where hot springs or thermal spa resorts around the world can host events to draw attention to this issue, or raise money to help fund it. 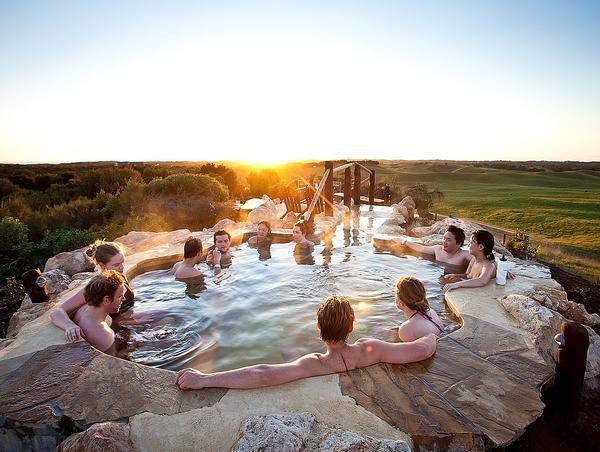 We’re also creating a festival at Dalhousie Hot Springs in Australia, to be held on World Bathing Day in 2022. We’ll bring one person from every nation on earth to bathe together in the world’s largest flowing hot springs, to figuratively bathe the world and also to draw attention to the issue. We also want to do a crowdfunding campaign to raise AU$240bn – that’s roughly how much money it will take to create the infrastructure to give everybody a bucket of water every day. I’m hoping to rally people around the cause, including the hospitality industry. There are roughly 20 million hotel rooms around the world and I want to have a standard where guests give AU$1 to this cause when they buy a room. We want to bring it home to people that bathing can transform your life. That actually brings it back to Extreme Bathing too – going to the extremes of hot and cold and using your breath consciously, can transform your world, and if you do that and then contribute to other people, then it not only changes your life, but it will also literally change the world. Wellness is about the ‘we’, not the ‘I’. If we take that attitude, I believe the world can be abundant. I’m investing the rest of my life into moving that direction.